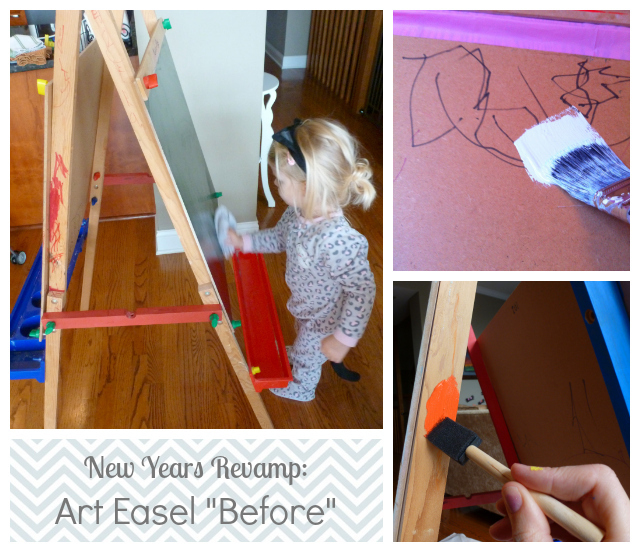 What do you do when you find a beat up $10 art easel at a garage sale? You take it home and give it a revamp, that’s what! 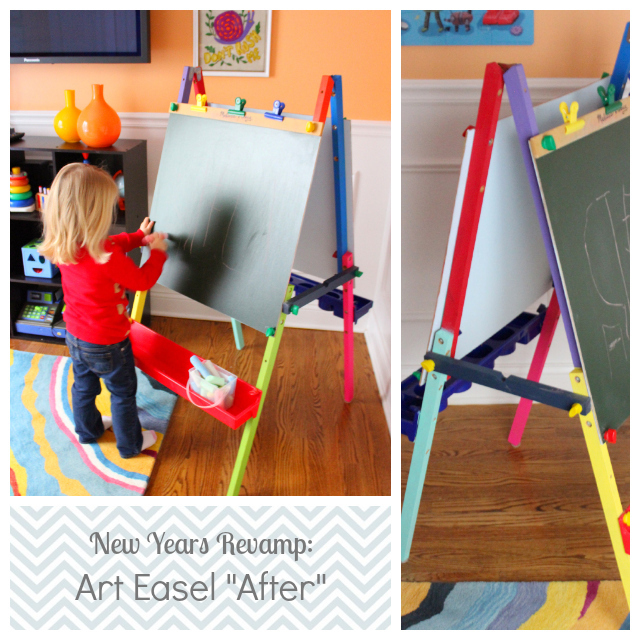 But a new easel would have run $60, so I felt it was worth trying to clean it up to save a little money. 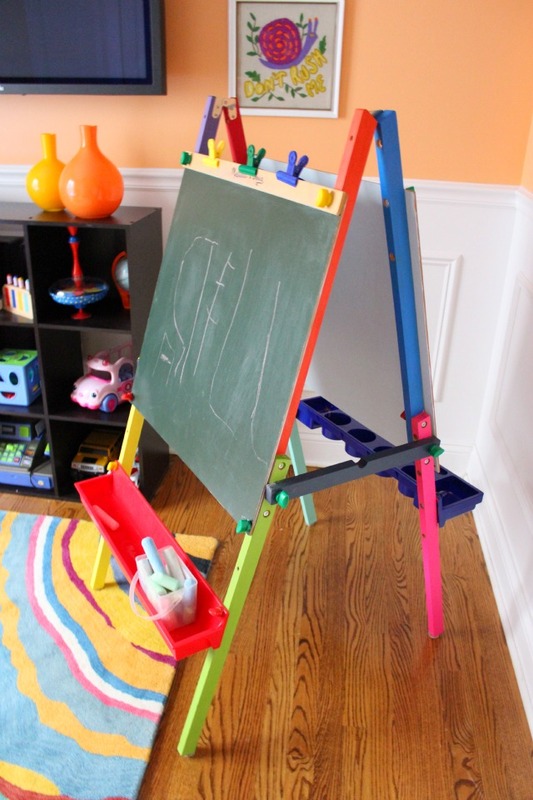 Plus, I’m not a big fan of the raw wood on the Melissa and Doug easels, so I probably would’ve wanted to paint a new one anyway. Stella (in her kitty cat jammies, ears, and tail) and I got right to work cleaning it up. I got out my collection of Martha Stewart acrylic craft paints and some foam brushes and went to work painting each of the legs a different color. To cover up the backsides of the chalkboard and white board, I removed them and then painted them with a bigger brush and some leftover blue wall paint. The whole project took around 3 hours, but the colorful result makes me smile!